Shrikant Jichkar is not an unfamiliar name. His name has gone down history for his educational achievements. The intellectual man was born in Katol in the year 1954. He is famous for completing 20 educational degrees. He also cleared the IAS and IPS exam within the first attempt. The post is dedicated to him because he was the most qualified person in India, who bid adieu to the world in the year 2004. He desired for knowledge and he succeeded in completing the degrees. Shrikant Jichkar was the son of a wealthy farmer in Nagpur’s Katol. His personal library was well-stocked and it was the biggest collection one could own! The library had 52,000 books. He loved to paint and during the initial years, he was a painter. He started his political career in the earlier days when he was in college. He used to perform on stage and was a professional painter as well. He successfully completed 20 degrees from 42 different universities. He travelled around the world and talked about economics, health, fitness and religion. He died in a car crash in the year 2004. A truck hit his car and he took his last breath at the age of 51. He was the man with the highest number of degrees. Have you ever imagined yourself becoming a doctor, IPS, lawyer, social activist and an IAS officer? The answer is NO because it takes a lot of time to finish the degrees. We finish our graduation, do a post-graduate or professional course and look for a job. However, Shrikant Jichkar was a rare case. He had the option of becoming anything! He was a painter, a great stage performer, MLA, IPS, IAS officer, doctor and much more. He completed degrees like Masters in Sociology, M.B.B.S, LLB, LLM, MA in Economics, MA in Public Administration, MA in Psychology, MA in Sanskrit, MA in English Literature and much more. He holds the Limca Book of Records for achieving several degrees. He completed all these degrees before he turned 24! Is that humanly possible? 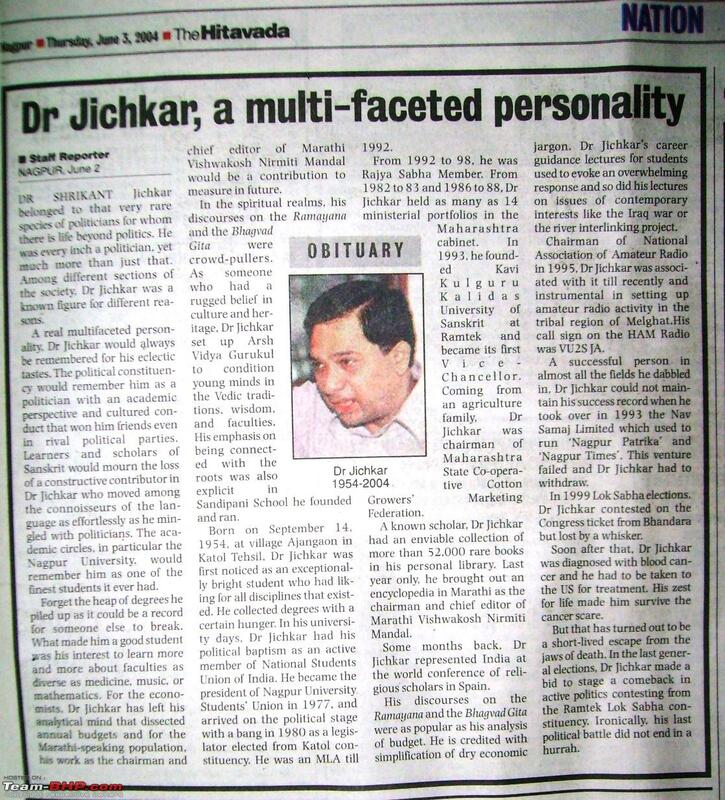 Yes, Dr. Jichkar made it possible and he was the most qualified man in India. He was the MLA of Maharashtra. Just so you know, he was youngest MLA of the nation. The young politician was also the most versatile and proficient. He was just 25 when he became the MLA. He was also the member of Rajya Sabha from 1992 to 4 July, 1998. He was married to Rajashree Jichkar. He was proud of his state to which he belonged. As a politician, he made wise decisions that would be good for the people of the state. He was truly an inspiration for all the politicians of the country. We fondly remember him for his efficiency and his hunger for education. He was and will forever be the most qualified man in India. He secured many degrees and never had a hint of ego. He is an inspiration for the youth and the politicians of the country. May his soul rest in peace! Shrikant Jichkar is an inspiration for all. Why stop at one degree? Never let your appetite for education stop after acquiring one degree.